I rarely get one-on-one time with my kids these days, so when the opportunity arises, it’s to be treasured. When I returned from my recent trip, my son was away at a friend’s house for a sleepover, leaving me with just my little girl. Okay, big girl. She’ll be 11 in June, after all. The tween, who thinks she’s an adult, who still acts, at times, very much like a child. It’s tough work growing up. The Big Guy had taken advantage of the nice weather to go on a mountain bike ride, leaving just us girls. After we slept in to a ridiculously late hour (I swear, I could never make it in a career requiring frequent travel–the travel hangover after is embarrassing), we decided it was time to go to the store to restock what they ate while I was away. Have I told you about our 2nd car? My daily driver is the 2013 Sentra, but at one time, it was a 1992 Geo Metro convertible. My grandparents gave it to me during a gap in operational vehicles and I drove it every day for nearly a year. It’s as basic as basic can be–hand crank windows, little soundproofing, and stick shift–but I swear that thing will run forever. And it’s really nice being able to drop the top, I won’t lie. I can’t complain about it. When I go to the MV Wine Fest in a couple of weeks, I’ll have to take it to the Steamship Authority so I can leave behind a family vehicle for the family. I decided this would be a good opportunity to refamiliarize myself with driving stick. Luckily, even though my ankle has been touchy lately, it tolerated the drive to and back from the store. And I even had to deal with stopping and restarting on a hill! I rocked it! Shopping with just my daughter is so much more of a pleasure than with both kids. She’s helpful. She’s inquisitive. She has great suggestions. We talked about selecting ripe avocados (which I still struggle with), the differences between grated Parmesan and grating your own, and strawberries. Finally, I have someone to smell the strawberries with me! Summer fruits require so little to highlight them. A little sugar to brighten the flavor, a little basil to add some freshness, and a dollop of whipped cream or topping. That’s it! I love having Gourmet Garden on hand in situations like this. My garden isn’t ready–we haven’t passed the threat of last frost yet–and I have no fresh on hand. Even when I do grow basil, it seems to be the sacrificial plant of the garden–always attracting aphids and succumbing to their hunger before it truly gets the chance to thrive. If I have Gourmet Garden lightly dried basil in the fridge, however, it’s just as good as homegrown, but without the hassle. They grow their basil organically in Queensland, Australia, where it is washed, chopped, lightly dried, and packaged within 18 hours of picking. 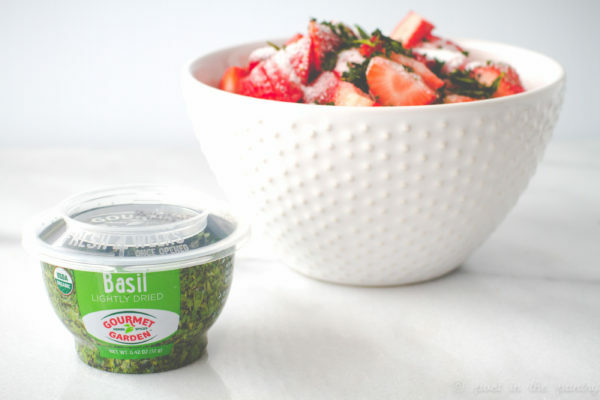 From there, you have basil that can be used just like fresh, but keeps for 4 weeks in your fridge. Convenience, without tasting like convenience! Perfection! 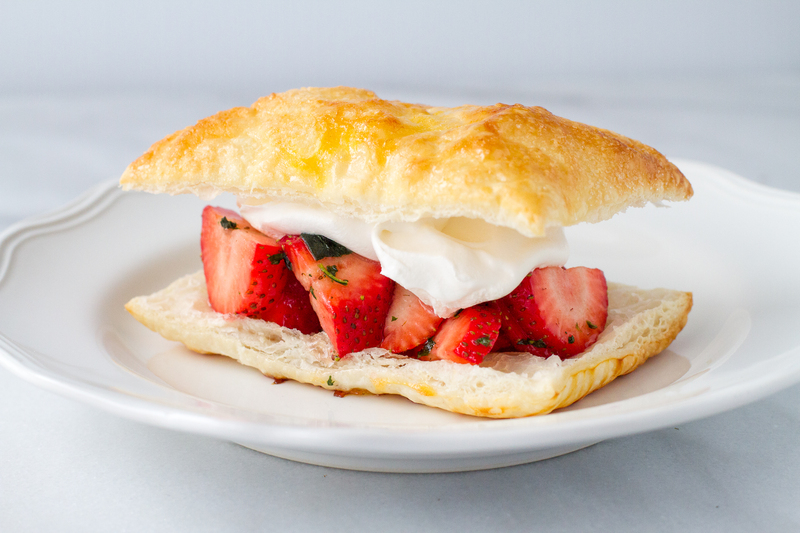 When I envisioned these strawberry pastry puffs, I was, obviously, inspired by strawberry shortcake. I found that I had to revise my expectations, as puff pastry does not absorb juices like biscuits and angel food cake will. So I reduced the time to macerate the berries. They just start to soften, but it’s not so much that you’ll have juices running down your arms. You can be dainty and eat them with a fork, or pick them up like sandwiches and go to town. The choice is yours. 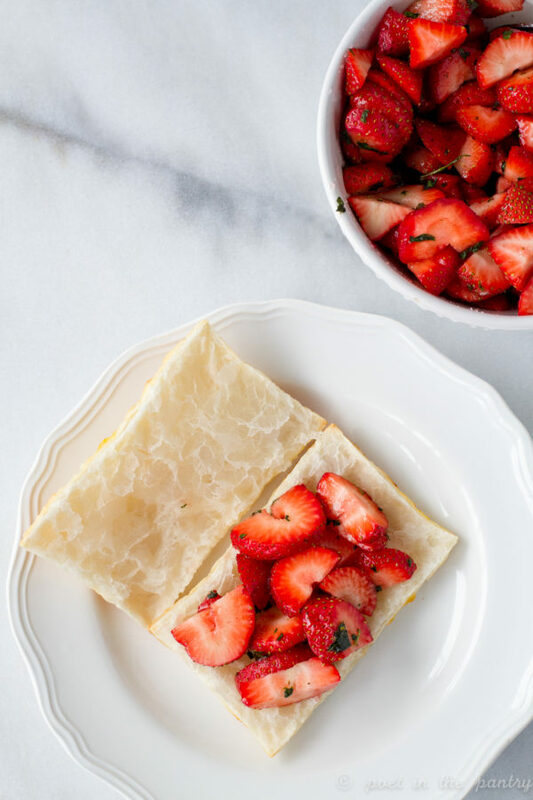 Either way, I think you’ll really like these Basil Strawberry Pastry Puffs. Especially now that we’re getting into strawberry season! Enjoy! Preheat oven to 425 degrees Fahrenheit. Line 2 rimmed baking sheets with parchment paper and set aside. Let the puff pastry sit at room temperature for 10 minutes, then unroll it onto a floured work surface. Cut into 8 rectangles and transfer to the prepared baking sheets. In a small bowl, whisk together the egg and cold water until light yellow and a little frothy. Brush over the tops of the puff pastry rectangles, then sprinkle with sparkling sugar/granulated sugar. Bake for 15 minutes, or until golden brown, rotating the pans halfway through baking time. 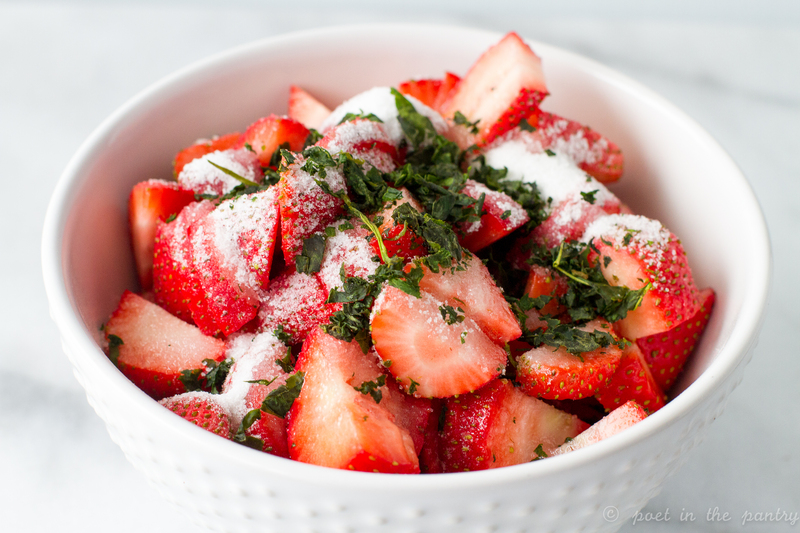 When cooled, combine the strawberries, sugar, and basil in a medium bowl. Stir and set aside for 5 minutes. Split each pastry rectangle in half so they're like little buns. 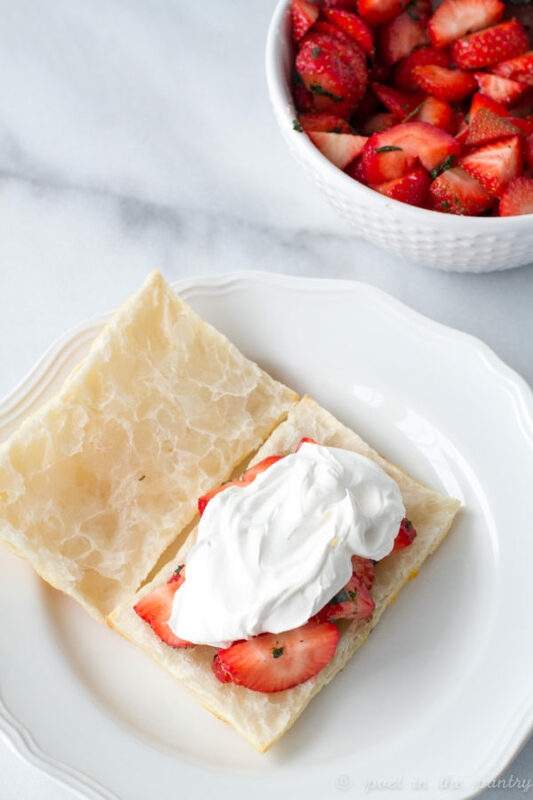 Remove the tops, spoon macerated strawberries over the bottoms, then top with dollops of whipped topping. Replace the tops and serve. 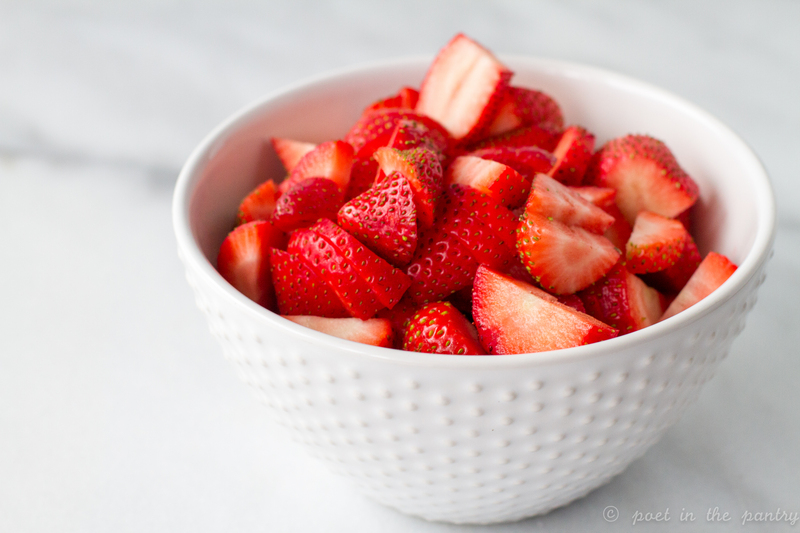 Taste your strawberries! If they're sweet, you won't need as much sugar as if they're on the sour side. I prefer whipped topping in this recipe for its sturdiness, but you can also use whipped cream. You can find Gourmet Garden on Twitter, Facebook, Pinterest, and Instagram, or at http://www.gourmetgarden.com.